From January 17 to 20, Michelin-starred chef Michelangelo Mammoliti will be hosting a four-day culinary affair at the Limoni. Bringing the taste of home from La Madernassa Restaurant in Guarene, Italy, Chef Mammoliti's dishes vary according to what nature and the season have to offer. The culinary roots of Italian-born Chef Mammoliti can be traced back to his childhood when he used to spend time with his grandparents in their restaurant in Giaveno in Piedmont. He started his career at Alberta and Marchesino under Italian Chef Gualtiero Marchesi. He went on to Grand Hotel Villa Feltrinelli where he met Stefano Baiocco who had a profound effect on his life. After leaving for France, Chef Mammoliti joined a three-star Chefs's equipe under chefs Alain Ducasse, Pierre Gagnaire and Yannick Alleno. He later went on to The Saint Père sous Vezelay under Chef Marc Meneau. There, his passion for cooking flourished, exceeding guests' expectations. Now a professional chef himself, Mammoliti has forged his own culinary philosophy. Demand, excellence and rigor are his key beliefs. Chef Mammoliti enjoys introducing many dimensions to his dishes, making his menu a culinary composition rather than a mere meal. He also loves the idea of going back to his roots, to the fascinating home of white truffles. 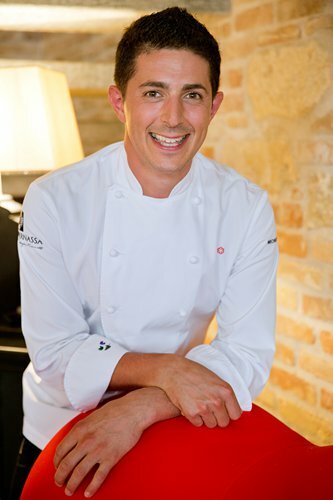 During his time at Limoni, Chef Mammoliti will be showcasing a medley of inspired delicacies with Italian staples. Limoni has also hand-picked a variety of vintage wines to create an excellent wine-pairing experience.